George J. Cox (1884-1946) was one of the first modern studio potters. He studied with Richard Lunn at the Royal College of Art. Lunn ran the first studio pottery course in Britain and wrote the earliest manual about pottery making. 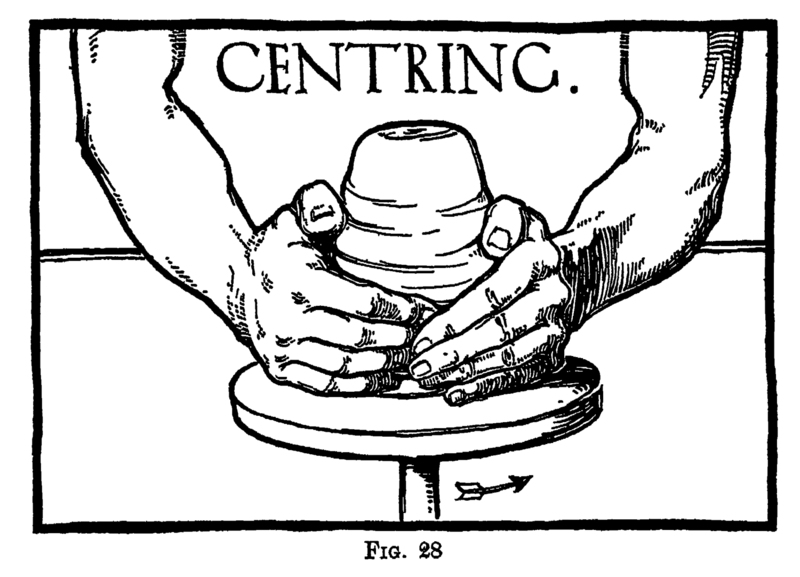 (Pottery, 2 Vols., 1903 and 1910) He regarded throwing as old fashioned and thought that making in moulds was more appropriate to the 20th century, but his students got the throwing bug. 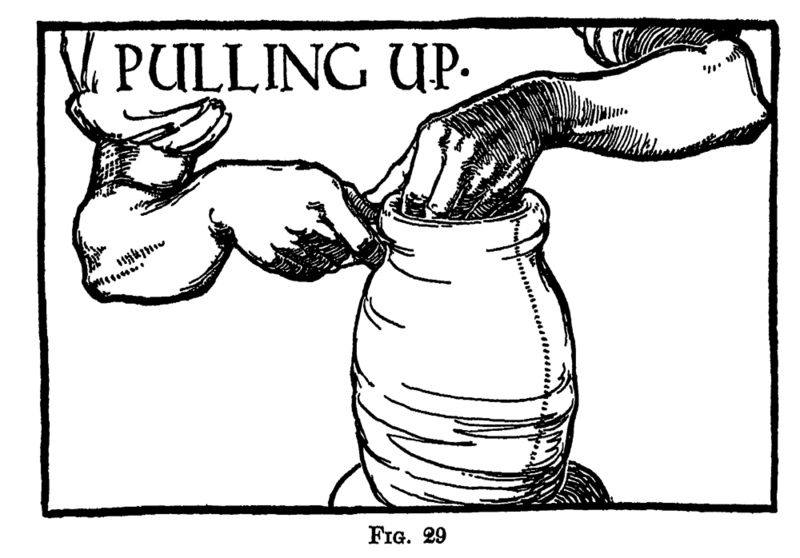 Cox also wrote a manual of pottery making, Pottery for Artists Craftsmen and Teachers (1914), little different in scope from Lunn’s but with a hymn to throwing that became familiar among studio potters in the ensuing decades. Cox had Romantic view of pottery – he was uninterested in science and thought it spoiled art. Lunn thought that technical advances in pottery manufacture had been achieved at the expense of artistic feeling, but he had more patience with ceramic formulas and recipes. Whereas Lunn was modern in his outlook, Cox was a medievalist. 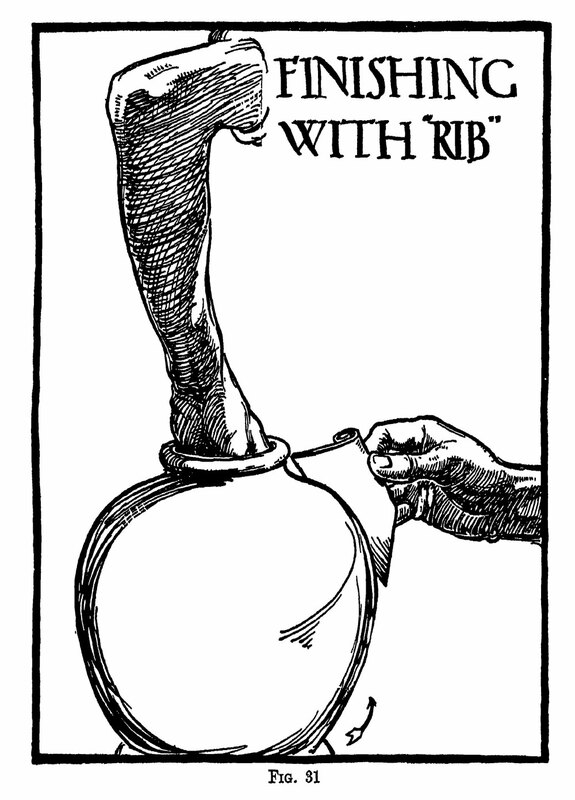 The frontispiece to his book showed a ridiculous picture of an imagined medieval potter at the wheel. 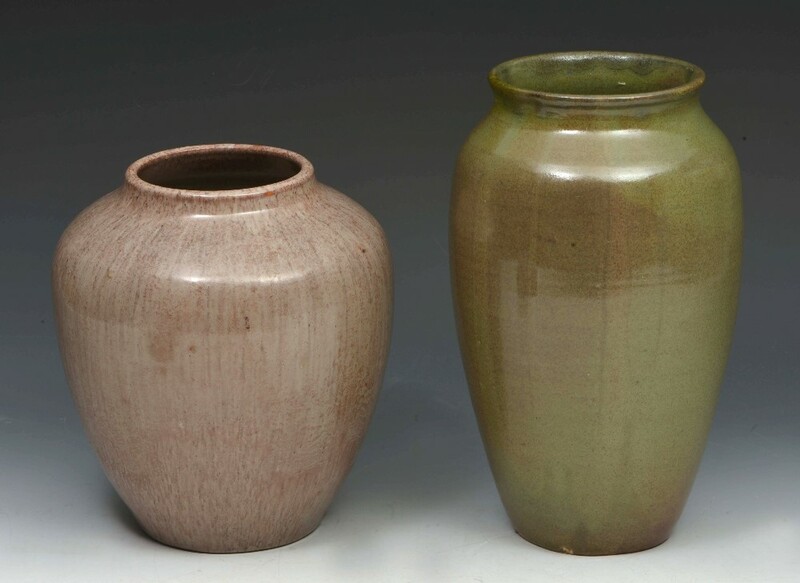 Cox ran a pottery at Mortlake for a few years, making Chinese Sung dynasty inspired vases with interesting textured monochrome glazes (below). In 1914, he went the USA and became a pottery teacher. In the 1930s, he was professor of art at the University of California. He died in 1946. Cox’s illustrations to his pottery book are beautifully drawn and charming in their own right. Here are two more from the chapter about throwing.